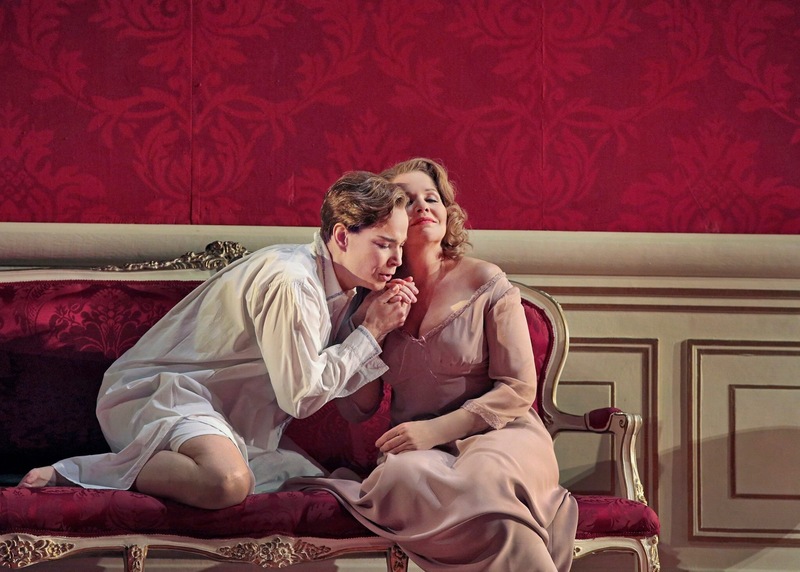 This is one of the most eagerly awaited and most discussed productions in recent history of The Met, mostly due to clear statements from both divas: Renee Fleming and Elina Garanca discontinuing their respective roles of Marschallin and Octavian. On top of that, this farewell tour has got additional flame through speculations that Renee Fleming is leaving active operatic stage. As it turns out, some rumours are based on exaggeration, and we will have chance to see Fleming in other operatic endavours, probably much less on the grand stage. 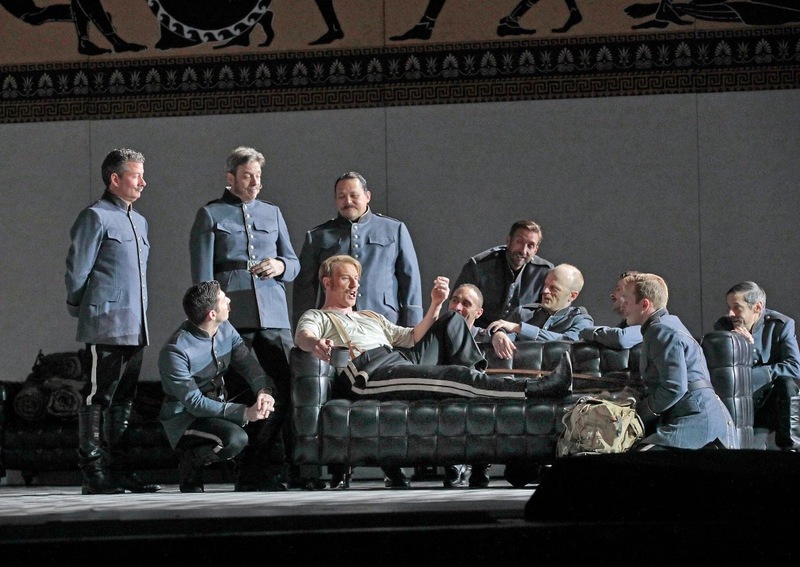 The production of Robert Carsen has been staged first at the Royal Opera House and there received acclaim both from the public as well as critics, praising well balanced approach and considerate use of period move from original libretto to the time when the opera was created. The settings are depicting the Viennese aristocratic dwellings, and attention is paid even to small details, being them room decor or army props. 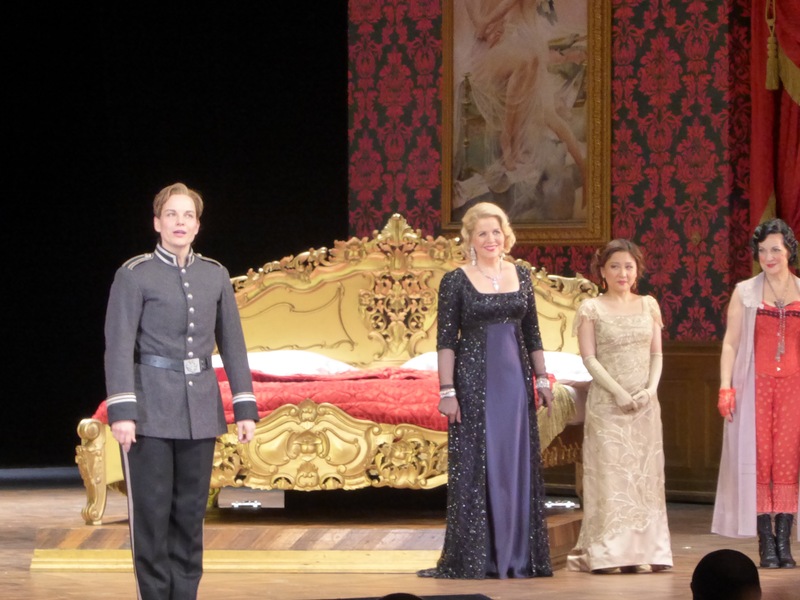 In addition to the smart and witty staging, the cast gathered for this production run at The Met is almost ideal – they have unique stage chemistry working miracles with the audience, the vocal qualities are surprisingly good and it seems that finally acting talents for main protagonists are flourishing in this comic, lyrical and wistful opera. 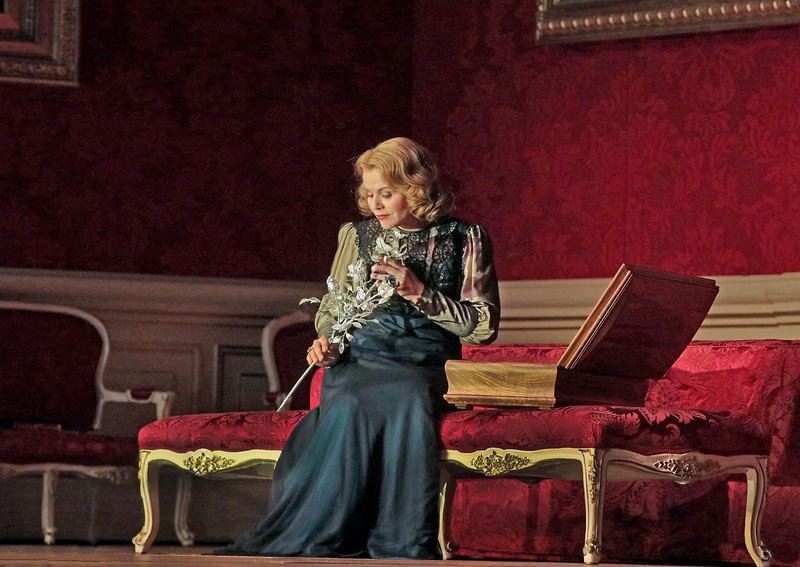 Renee Fleming as Marschallin uses all her stage charisma to portray this beautiful and wise aristocrat realising how life flies and knowing that it is hard but beneficial to rely on your own decisions in love life. Her separation from young enamoured Octavian generates almost palpable pain and incredible sadness. Fleming’s voice conveys the palette of emotions from girlish naivette to decisive adulthood, colored in numerous nuances. Her voice still is bright and fresh at the top, with dark and mellow low notes, and her acting convincingly supports the libretto line. 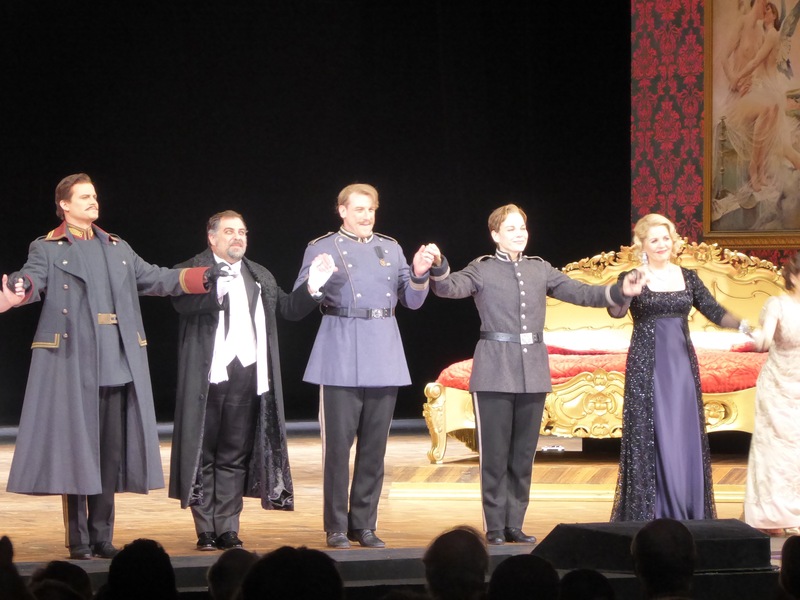 The performance in fact was owned by two other protagonists: incomparable Elina Garanca as Octavian, and her counterpart Guenther Groissbock as Baron von Ochs. Elina is famous by the role of Octavia, and vocally she performs it impeccably. The most pleasant surprise was her natural acting either as Octavian or Mariandel, letting her talent sparkle. Each movement is well thought through, either boyish and angular movement, manspreading or the cigarette grip; or mannerisms of pretending being a girl and clumsy inconveniences handlig either stockings or high heels as Mariandel.Her stage chemistry with Gunther Groissbock is remarkable, it seems they really enjoy playing those roles together! Elina Garanča as Mariandel and Guenther Groissbock as Baron von Ochs. Photo: The Metropolitan Opera. Also vocally Groissbock as Baron von Ochs is great casting choice, even if I have seen and heard him live a few times, this was a new discovery worthwhile to follow. His acting talent flourishes, and I hope very much that MetHD scheduled on May 13th will be available on Blu-Ray to add to my most favorite opera collection. Unfortunately the role debut for Katleen Kim did not impress much, her delivery was sound and stable, but in comparison to other cast she seemed a bit detached from the action. 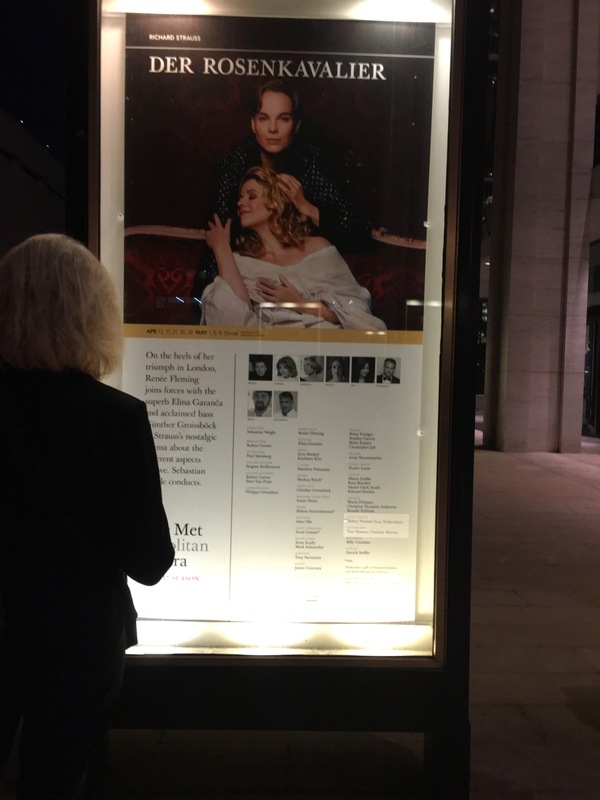 The outstanding Metropolitan Opera orchestra was led by Sebastian Weigle in lively, energetic way, and producing musically superb evening. Taking it all together – The Met lives up to their tagline: the world’s best voices on the world’s best stage. Worthwhile to return as frequently as you can afford! Richard Strauss. Der Rosenkavalier. Opera in three acts. Libretto by Hugo von Hofmannstahl.